Rose was the most beautiful and praised flowers. I have loved body cleansers as they are gentle and has a better fragrance. They make soft and smooth skin. I have used a variety of body cleansers from different brands and this one from Seer Secrets. 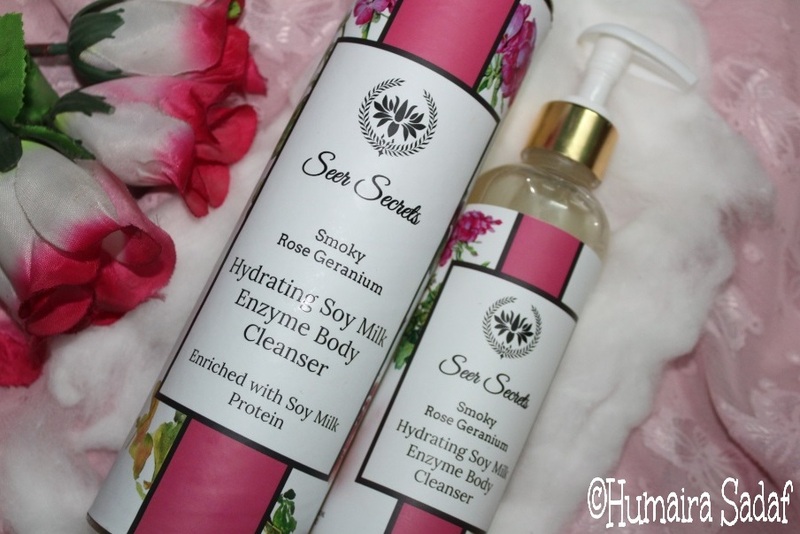 Seer Secrets Smoky Rose Geranium Hydrating Soy Milk Enzyme Body Cleanser was one of my quick and easy buys. 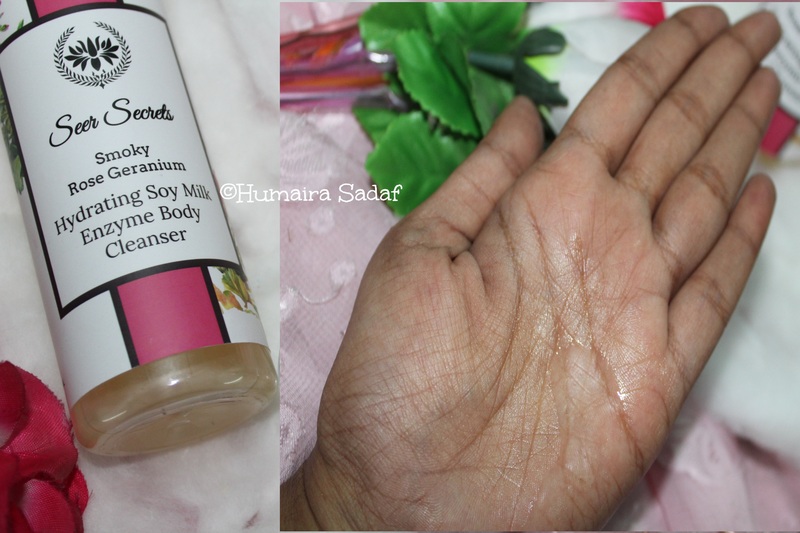 I am reviewing Seer Secrets Smoky Rose Geranium Hydrating Soy Milk Enzyme Body Cleanser. Indulge into the aroma of a thousand roses with this beautiful bath indulgence. The Smoky rose geranium fragrance has a hydrating soy milk enzyme body cleanser helps to create a sense of hydration a sense of hydration and protecting the skin from wrinkles and sun burns. The formula is infused with Geranium essential oil and rose extract, Amla, and Reetha that provides the essence of hydration in a blissful relaxing effect of Aromatherapy. Smoky and rosy fragrance infused with Soy Milk proteins and coconut derivatives stimulates mind and spirit in a blissful shower take on. Our Smoky Rose Geranium Hydrating Soy Milk Enzyme Body Cleanser serves as a detoxifying agent, controlling acne and protecting skin infections. Soy Protein based cleansers create rich, luxurious foam and gently repairs skin burns leaving the skin moisturized. Suitable for all skin types and Paraben free. Our Smoky Rose Geranium Hydrating Soy Milk Enzyme Body Cleanser is gentle enough to use every day. Lose yourself in a hydrating shower moment and awaken your senses in your shower. 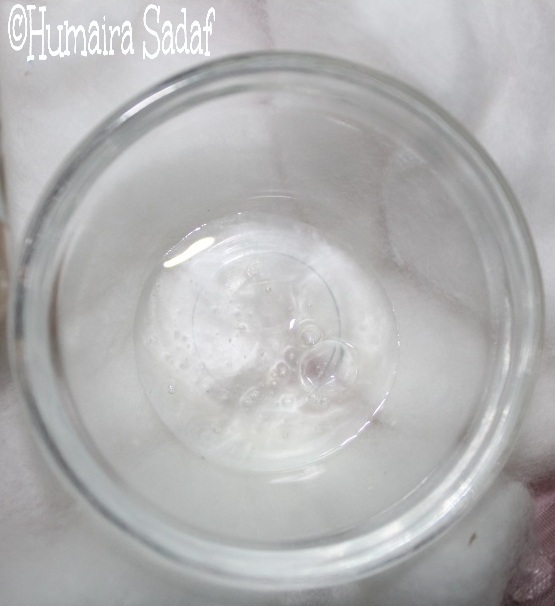 It clears up acne, prevents wrinkles, improves skin elasticity and protects from skin infections. Seer Secrets Smoky Rose Geranium Hydrating Soy Milk Enzyme Body Cleanser comes in a very elegant packaging. 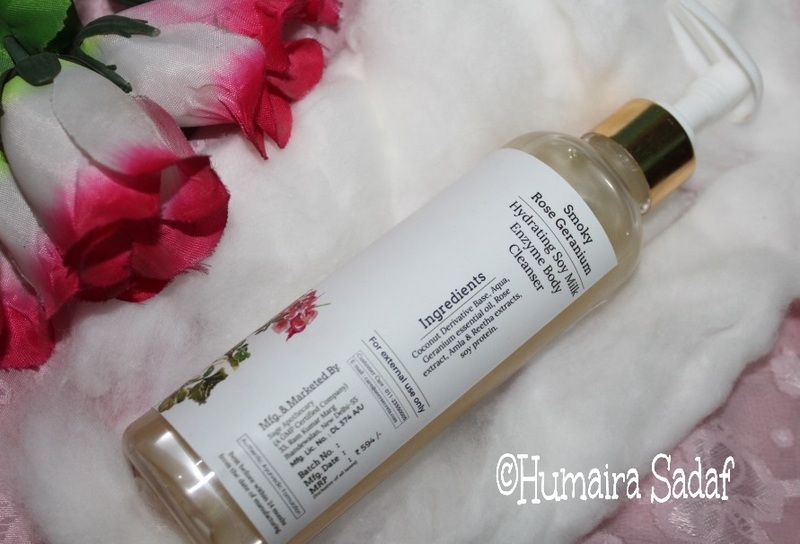 It is one of the mind-blowing packaging of body cleansers. The bottle is transparent and creamy white in color with a rose flower design at the front. The cap is a click and open that is somewhat different. The cap is white and golden-yellow and is pretty awesome. The bottle is easy to carry. I love the packaging. Coconut Derivative Base, Aqua, Geranium essential oil, Amla and Reetha extracts, Rose extract, soy protein. Pour Seer Secret’s enzyme body cleanser on a moistened loofah. Generate luxurious lather by rubbing the loofah on the body for intense hydration. Rinse with water to wash off the product effectively. Seer Secrets Smoky Rose Geranium Hydrating Soy Milk Enzyme Body Cleanser is creamy white in color which turns towards white. The consistency is quite flowing with enriching lathers. The fragrance has a rosy soothing smell. I have a dry and sensitive skin. I apply this body cleanser with a loofah and it lathers richly. I liked the cap of this wash as it was quick to click the nozzle and get the desired amount of quantity as required. This makes skin soft, fresh and smooth and to get rid of skin irritation. It has rose extract, geranium essential oil, soy protein and much more. It has refreshing and calming effects. It has a rose and geranium aroma. It leaves the skin moisturized. The product helped to nourish my skin. Lovely and absolutely luxurious product! Natural ingredients for all skin types. Moisturizes and lubricates the skin. Rosy soothing fragrance and lather rich. If the cap isn’t closed properly, the product leaks out. Seer Secrets Smoky Rose Geranium Hydrating Soy Milk Enzyme Body Cleanser is pleasant and luxurious. I was really excited of this body cleanser. This body cleanser leaves skin feeling incredibly soft all day. The refreshing gel that bathes in sensuous rose geranium aroma fragrance. Overall, it is a decent product. I hope this review will be useful. Share your experience. Seer secrets are bringing some awesome natural products into the market . I have tried this body wash and absolutely love the way it smells !! I am using seer secrets lemon cypress body cleanser and loving it already. Indeed it feels so refreshing. No, I haven’t considered rave review for seer secrets products. I really love seer secrets products. I personally love their deodorant cream. Sounds interesting! I love floral smells. That’s something new. Never heard about this product before. Seems to be a grt pdt. Heard a lot positive reviews of this brand and this post made me more intrigued to try it soon. Amazing products, will recommend it to my friends. is perfect, the articles is really excellent : D. Good job, cheers.